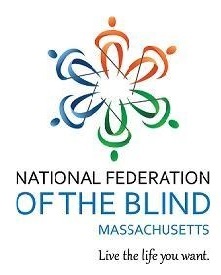 The NFB of Massachusetts is pleased to announce the availability of scholarships for the 2019-2020 academic year. Up to 3 scholarships may be awarded, including 1 for $2,500.00 and 2 for $1,500.00 each. Please read all instructions carefully and pay close attention to the deadlines. and • Send completed scholarship applications to aruell@comcast.net with the word “scholarship” in the subject line. Deadline: Applications must be received on or before January 31, 2019. To scholarship applicants: Please complete this application by placing your responses below the questions. All applications must be received by January 31, 2019. All supporting documents, (i.e. references), must be received by February 8, 2019. If you have any questions, please contact Amy Ruell, NFBMA President at 781-267-4432 or send an email to aruell@comcast.net with the word “scholarship” in the subject line. 3. Preferred and alternate phone number(s). 4. Mailing Address: Street, City, State & ZIP. 6. Do you have any additional disabilities? Please describe. 7. Your school status for the 2018-19 school year (i.e. Freshman, grad student etc.). 8. Your current or intended field of study. 9. Name of the high school you attended or attend and cumulative GPA. 10. What school will you be attending in the 2018-19 school year? If you don’t know yet, what schools have you made applications to? 11. If you have attended this school for any prior semesters, what is your cumulative GPA? 12. Briefly describe any other undergraduate or graduate institutions you have attended, including dates attended, field of study, GPA, and what degree you received from each institution if applicable. 14. How did you hear about our scholarship program? 15. What do you hope to gain from your experience as a scholarship winner and your time at the NFBMA state convention? 16. Please describe any extracurricular activities or community service you have been involved in; what do you do aside from academics? 17. What is your current career goal and plan for the future; where do you see yourself in five to ten years? 18. How has your blindness impacted your life so far; how do you foresee it affecting your future? 19. What do you think is the most important challenge facing blind students today? 20. Your involvement, if any, in any blindness organization(s). 21. May our student leaders contact you? If so, what is the best way to reach you? Please provide phone and email address. References: Please note: references must be people who have worked with you in some professional capacity during the past calendar year.